Bwin, an international online gaming company, briefed me to realize the January background for the UK website. 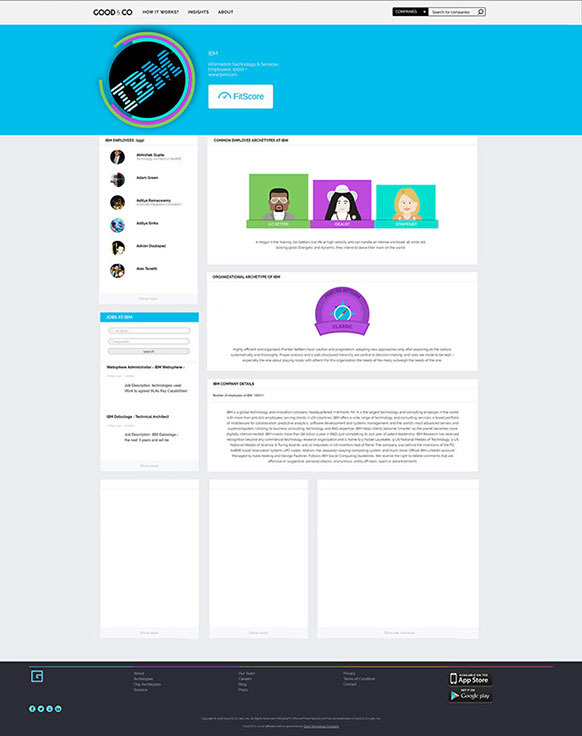 The concept I proposed aimed to enhance user engagement by using a parallax scrolling background as a way for quickly capturing visitors’ attention. Parallax scrolling is very effective in guided storytelling. For example, to help sell products or services by delighting and guiding users through a scrolling story or guide , thus improving a Web site’s user experience and being an opportunity for brands and marketers to create immersive content experience. 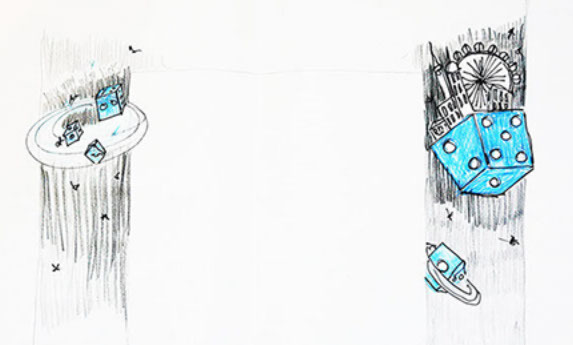 The proposed background is composed by two pictures fading one in the other, that represent a DiceLand, an amusement City on the top of a die (logo of the brand). Scrolling down, all the lights of the city switch on, creating a small story (a before and an after) that guides the user experience. of the traditional sledge, transports related with gaming environment (e.g. 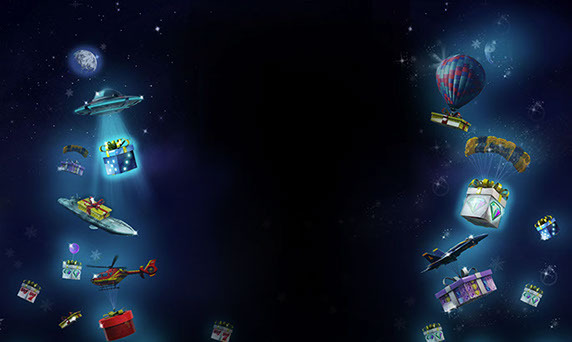 a dice gift is brought by an UFO, since one of the slot machine game represents Aliens as Characters), creating a story which reflects a gaming environment. - Possible Design solutions and web design trends (such as interactive elements). - Competitors’ contents and assets. 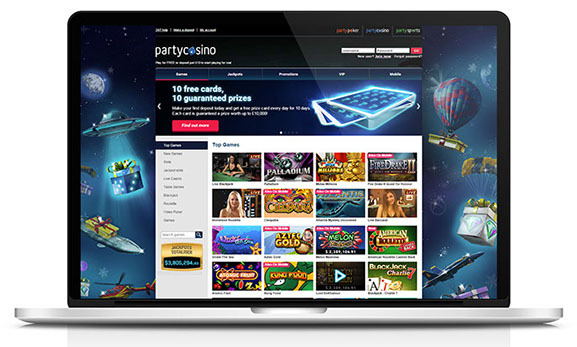 - Implementing the results of this visual research on the contents and style of promotions and asset for the website for the Party Casino brand. 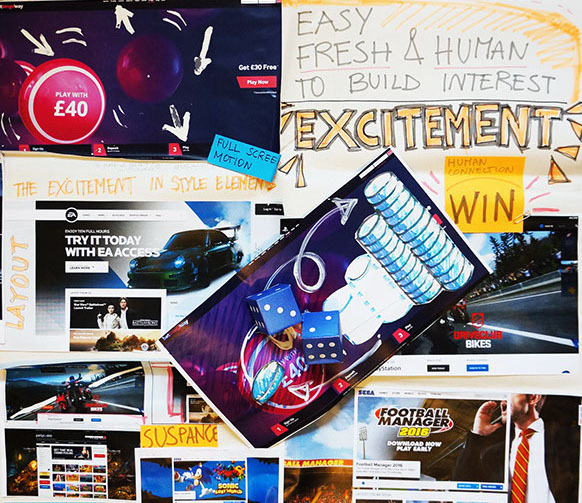 Concept and design for Interactive Advertising. By dragging fruits and Absolut the user discovers the combination of ingredients of different cocktail. I completing the action a CTA invites him to download the drinkinspiration app (on the left). By dragging the absolut on the glass, a rainbow liquid will appear on the glass for the Gay Pride Special Edition Bottle (on the right).